This tactical knife was designed by Emerson and built by Kershaw, the Kershaw Emerson CQC-7K Knife 6034T. 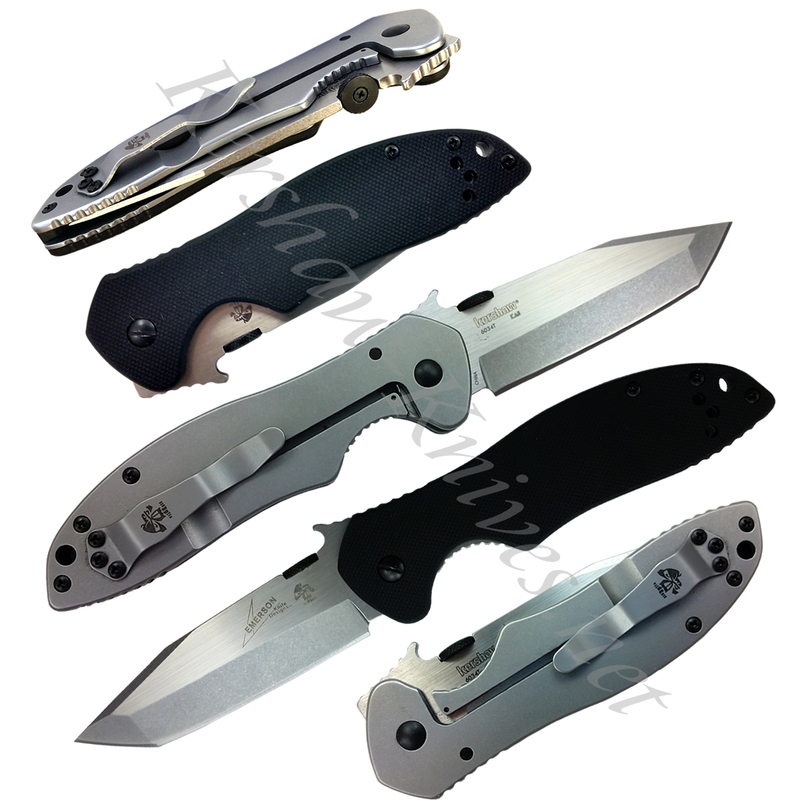 The tanto 8Cr13MoV blade has a satin finish on the top and stonewash on the blade edge. Blade is 3.25 inches. Handle has G-10 scales and 410 Bead blast finish on back. Frame lock. Silver pocket clip.